Higher than expected third quarter GDP growth, combined with a string of encouraging monthly job creation numbers, has the United States hoping its economy has entered a robust growth period needed to quell persistently high unemployment rates. According to a new report from Economic Modeling Specialists International (EMSI) and CareerBuilder, the U.S. workforce grew 3.5 per cent from 2009 to 2013 and is projected to grow 4.4 per cent from 2013 to 2017. While still below pre-recession rates, the expected acceleration in hiring is a welcome trend for job seekers, as well as businesses still hampered by slow consumer demand. Yet, the real story unfolds when we examine the type of jobs expected to grow the fastest over the next several years. The report, “America’s Job Outlook,” explored job projections over a five-year period by occupation, wage group and education level. High-wage jobs are expected to grow the fastest at 5 per cent, followed closely by low-wage jobs at 4.7 per cent. This is a positive reversal from the early years of the recovery, in which low-wage occupations played the leading role in job creation. However, the research supports a widely-held observation that the U.S. economy is increasingly bifurcated between good paying, high-skill work and low-skill, low-wage work. Middle-wage jobs, once a dominant fixture of the U.S. labour market, are growing at a tepid 3.3 per cent pace. In fact, 75 per cent of the occupations projected to lose jobs through 2017 fall in the middle-age category ($13.84-$21.13). The winners in the U.S. labour market, therefore, are likely to either hold a college degree or possess a scarce and in-demand technical skill. Six in ten occupations projected to grow by 8 per cent or more through 2017 require a college degree; meanwhile, jobs that only require on-the-job training are projected to grow 4 per cent. The level of skills and experience required of the workforce is also reflected in the specific occupational categories projected to grow the fastest—namely, jobs in the information technology, health care, and energy industries. Information Technology: Driven by a surge of new web-based technology startups and a movement by companies to harness the potential of ‘big data’, seven computer and IT occupations are projected to grow at least twice the average of total job growth through 2017. This is led by a huge demand for experienced software developers and database administrators; both occupations are expected to grow at 11 per cent and together will add more than 120,000 high-paying jobs. Jobs in web development, network administrators, computer systems analysts, and information research scientists will all grow by at least 8 per cent. Health care: The United States’ ageing population and broader access to medical services should account for a major spike in health care jobs through 2017. According, to the EMSI and CareerBuilder report, 26 of the 50 projected fastest growing occupations are in health care related roles. Biomedical engineers will see a 23 per cent increase in demand and personal care and home health aides will add nearly a half-million new positions. Nurse practitioners (12 per cent growth), who perform many of the same functions as medical doctors, and other nursing occupations will expand quickly as health care providers attempt to reduce costs while maintaining quality of patient care. Occupational and physical therapists will continue to grow in prominence, with 12 and 13 per cent growth projections, respectively. Energy: The expansion of the U.S. natural resource extraction industry will continue for the foreseeable future. Seven oil and gas occupations are in the top 25 projected fastest growing occupations, accounting for more than 40,000 new jobs through 2017. Each of these occupations – from drill and derrick operators to petroleum engineers – pays in the upper tier of hourly wages. Looking forward, the challenge for U.S. companies will be to successfully recruit and retain workers for high-skill, in-demand occupations. In their new book, The Talent Equation, authors Matt Ferguson (CEO of CareerBuilder), Lorin Hitt (Wharton School, University of Pennsylvania), and Prasanna Tambe (Stern School, New York University) note that while 4 in 10 U.S. companies can’t find qualified candidates for open positions at their companies, 8 in 10 say their organization isn’t doing anything to address the “skills gaps” affecting their talent recruitment goals. So despite a more optimistic hiring outlook, U.S. employers will have to play a larger role in developing the workforce it needs to fill the rapidly expanding demand for some occupations. This can be achieved by committing to internal training and reskilling programs, collaborating more closely with higher education and vocational education institutions, and setting competitive wages to attract quality candidates. Additionally, more companies are overhauling outdated recruitment practices and adopting advanced workforce planning tools that can aggregate and project regional labor supply and demand data. Occupational projections, while subject to change in the face of major economic events, provide an important glimpse into the short-term future of the labor market. Expected job growth in the U.S. still falls short of the ideal, but the trends heading into 2014 all point to a sustained and improved recovery driven by a greater share of skilled labor than in years past. 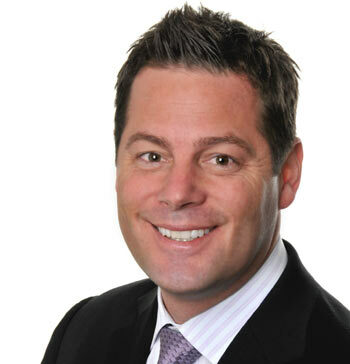 Tony Roy is the president of CareerBuilder EMEA. For more information, and to download the full report, visit the CareerBuilder press room.